Interiors: Maison 140 Beverly Hills — Sukio Design Co. If you're in need of a glamorous getaway (or chill hangout spot), look no further than Maison 140 Beverly Hills. As mentioned in a previous post, Maison 140 is one of my favorite commercial projects by Kelly Wearstler. 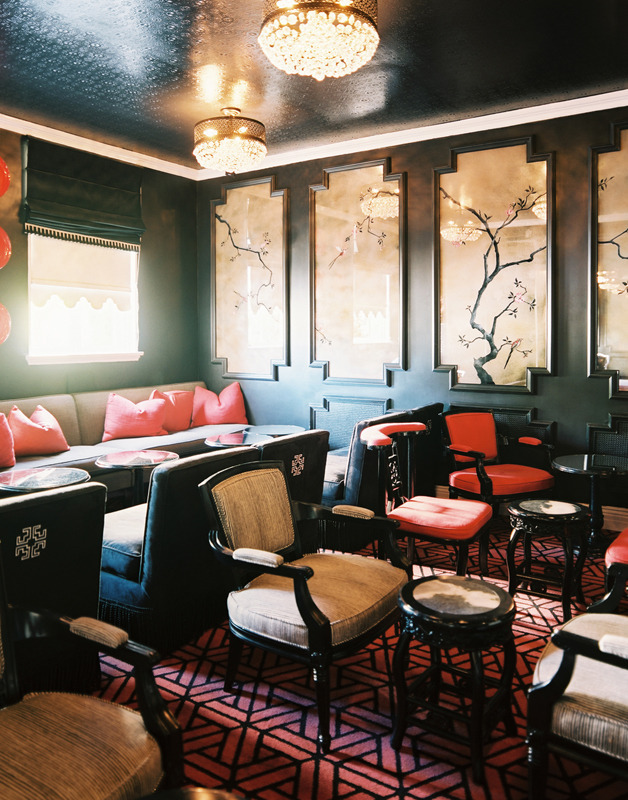 The Asiana-inspired lounge, Bar Noir, is oh-so dreamy with its black walls, French crystal chandeliers, and Chinoiserie mirrored panels. The hotel’s 44 guestrooms are equally glamorous. Don’t you just love the tufted headboard? To learn more about Maison 140, check out the March/April issue of Lonny Magazine.